A recent article in Wired covered the miraculous world of sailboat racing. This is not the pretentious sailboat racing you might be imagining, but rather an extreme test of skill and tech – no sweater vests involved. The article covers the details so I will focus on what’s high-level. These are BIG boats. The video in the article [view here] puts their sheer size into perspective. In the video, racers utilize the AC45 to reach speeds of up to 64 kph (40 mph), which may not seem like much on land, but on the water it is fast, particularly for a boat propelled without a motor. The AC45 is 70 feet high and weighs over 3,000 lbs, yet it is dwarfed by its successor that is currently in production. The AC72 weighs in at 13,000 lbs and is 131 feet tall. This monster of a craft is able to achieve speeds up to 76 kph (48 mph). What I found most interesting about the article is that many of the racers who take place in the America’s Cup (the challenge for serious sailors), is that many of the participants are concerned not only about winning but about pushing technology to the max. 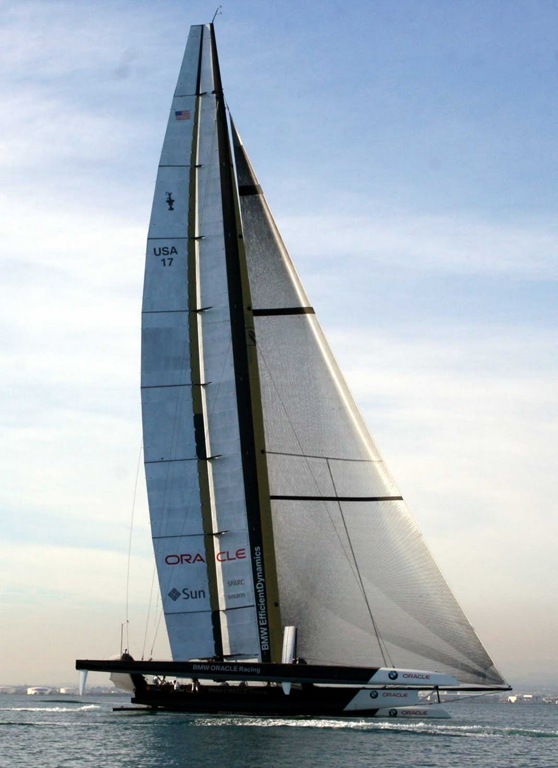 Oracle’s CEO, Larry Ellison, is the man behind the AC45 and AC72 and he intends to push technology to the limit to win the race. It was his team that came up with the idea for a solid wing design rather than the standard sails. All in all, it is an intriguing story about pushing the barriers of technology and some of the amazing results.